I met Michael Conlon, former Sinn Fein councillor, musician, boat builder and post-conflict specialist at the Europa Hotel in Belfast and thanked him for agreeing to walk with me. It was raining hard outside. We discussed the walk he was going to take me on and in doing so he told me a little about his biography. 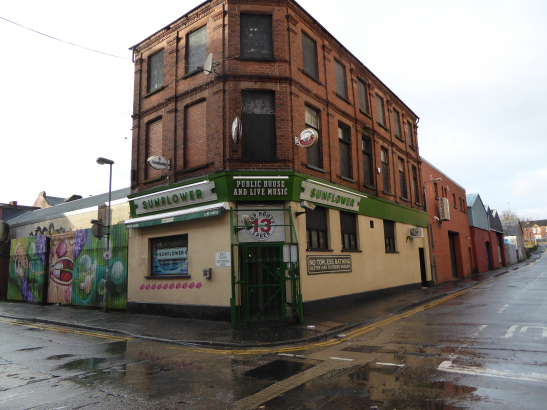 Michael’s was the last of four walks undertaken in Belfast and each walk had given me an insight into the biographies of the people that I walked with, inextricably connected to the biography of Belfast. These are partial biographies, but nevertheless interesting histories and biographies of place, space, sectarianism and belonging. 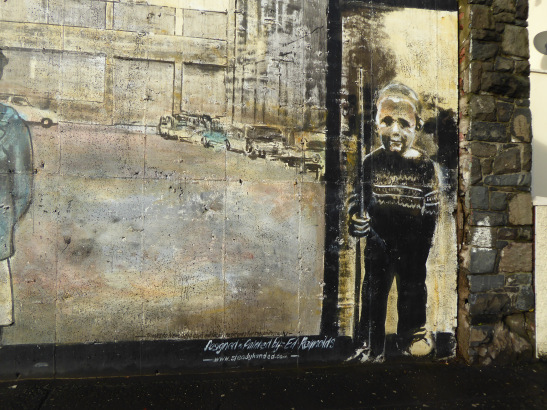 It was a privilege to connect with my Belfast co-walkers and see the city through their eyes, lives, social and cultural histories as well as the memories they shared with me. 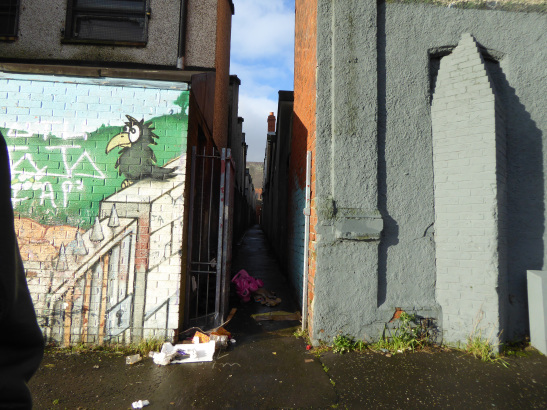 I have a strong sense of ‘knowing’ Belfast through these walks. 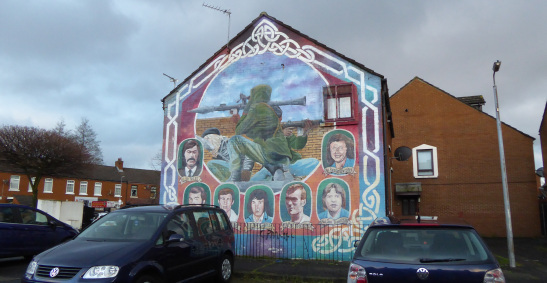 It is part of the process of conflict transformation, that you respect the history and you understand it and especially for the families who have to live with it every day, that there’s somebody not sitting in an armchair, there’s somebody not sitting at the kitchen table and that’s where the lead is really, from the families. As we were waiting for the rain to subside, Michael told me that he left school at 15 and joined the Royal Navy “which was unusual for an Irish Catholic Republican (laughs)” he later enrolled at the College of Business Studies In Belfast “did a couple of O’ Levels at night and then two A Levels in one year and I got into Queen’s in 76”. 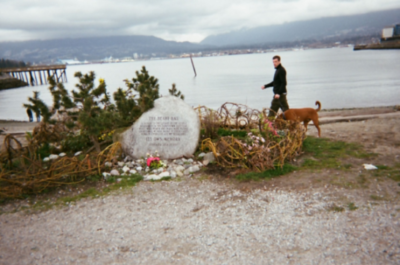 He graduated from Queen’s University with an Honours Degree in Economic and Social History. In my final year my senior lecturer Miriam Daly was assassinated by a Loyalist death squad a week before we graduated but before that from 76, I joined the Republican Movement. concerned with the prisoners in the H Blocks on the blanket and then subsequently the hunger strike and the girls in Armagh also who were on hunger strike three of them and I knew two of them personally, one of them is now dead she was killed in Gibraltar, Mairéad Farrell by the SAS with two other IRA volunteers Danny McCann and Sean Savage and I knew Danny well as well. Importantly, he tells me that Belfast is a small city “people know each other from whatever side you’re on”. Increasingly “as the British occupation racked up especially during the 1970s actually under a Labour Government and they were particularly kind to us [laughs]” and “ they took away political status in 76 which had been won during an earlier hunger strike in 1972… So the deck was sort of stacked against you Maggie and from there I just progressed along various aspects of involvement in socialist republicanism”. Michael stressed that politically he identified with socialist republicanism. I’m very much a follower of James Connolly as opposed to Patrick Pearse… Connolly was from Edinburgh and also a former soldier who served in the King’s Liverpool Regiment I think, he sort of accepted that nationalism in the early part of the last century was a vehicle to be used to achieve socialism, so I would agree with that I’m not a Nationalist. People would say because I was a Sinn Fein councillor in Belfast that I was a Nationalist, I’m an Internationalist. Given the fact that Belfast is a small city, marked indelibly by sectarianism I wondered how it was for him as a young man finding his way. So there’s a saying in Gaelic it’s easy to sleep on somebody else’s wind and it’s attributed to Cú Cuchulainn, although he was a mythical character but it was very hard while I was studying my A Levels here just across the road to not to become involved because out of my class I went to a Grammar School in St Mary’s in Glen Road in West Belfast and out of our class of forty-two within a couple of years half of them were gone either dead or imprisoned. I tried to get away a few times and you have a terrible sense of guilt when you read about somebody dying who and you’re two thousand miles away or three thousand miles away and I ended up committing myself to what was going on here. which is a very, very strong Republican area and lots of soldiers were killed in Ardoyne it took the British Army three hundred soldiers just to patrol Ardoyne and it’s a small area and it became part of my role to try, to first of all after the second ceasefire, to bring our community into a peaceful situation, to learn how to trust people with weapons, the police and the army, the British Army and then subsequently with the establishment of the new police service to actually assist the police, which in Ardoyne and other areas in the city was a big ask from our community. Michael’s biography reflects the historical and political processes at play and the role of the US governments in ‘the troubles’ too. Michael tells me he “got a small mention in Conor O’Clery ‘s book (journalist with the Irish Times) The Greening of the White House as the first member of the IRA/Sinn Fein to shake the hand of a British foreign secretary since 1921. A gentleman to my right asked me would I like a drink and I tried to make light of things as I always try to do because it’s Belfast humour, and I said ‘oh you never accept a drink from your enemy unless he’s got the terms of his surrender in his hand’ and it turned out to be the British Ambassador to America Sir Robin Renwick. I didn’t know who he was and then Sir Patrick Mayhew came in with his entourage and he assumed because I was wearing a nice suit, I don’t have a suit, I’d borrowed a suit to be at the meeting, and he assumed I was a member of the British Embassy staff so of course, he came over because he recognised the British Ambassador, ‘Sir Robin how are you doing’? ‘Sir Patrick how are you doing? This is Michael’ so I shook hands with Sir Patrick Mayhew and then the British Ambassador said ‘he’s from the Sinn Fein delegation’ and Mayhew’s hand I could feel it in his grip suddenly went sort of cold like ‘it’s one of them’! To bridge the tension in the room, given the fact the present Ambassador to America, Peter Westmacott’s cousin was killed in North Belfast, Michael opened a conversation about fishing. I knew Sir Robin fished and a fly fisherman so I started talking about salmon fishing and he said ‘oh I fish in Alaska’ and I said ‘I fish in Mayo’ and because of Lord Mountbatten being blown up in Sligo which is an ex-county domain he said ‘we’re not allowed to go to Ireland to fish’ and I said ‘well when all this is over I’d like to invite you to Mayo and you can fish with me and nothing will happen to you’ and so we discussed that and he laughed and I laughed and it was a moment. I did that consciously, about fishing, because I was aware the ANC had been supporting us and during their negotiations with the apartheid regime they had gone to some retreat in the countryside in South Africa and one of the white government ministers got a fishing hook in his finger and one of the ANC delegation was a nurse and she pulled the hook through and fixed him up and that eased the tension between ANC and the South Africans, so I was conscious of that and I was trying to build bridges. I remarked on the importance of these moments of common humanity in the making of transitional justice. Blown up three times and shot twice, Michael goes on to tell me that he lost many friends in the war and by 2001 he was approaching burn out. I said to our leadership I can’t do it any more so I stood down from active politics, I’m still a Republican Socialist but not at the intensity that I did for twenty-seven years. Subsequently, Michael has been actively involved in the peace process, conducted post-conflict work in Kosovo, is teaching on post-conflict issues in Reunion and undertaken many years of prison visits and works with veterans. His ultimate wish is for the reunification of Ireland. The rain had stopped so we ventured outside for the walk. 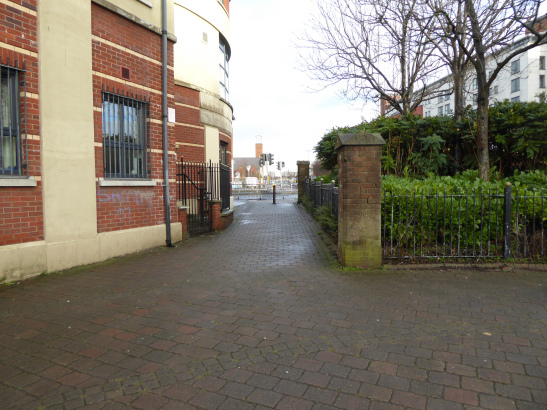 One of the first themes to emerge in the walk with Michael (that also connects with the previous walks) is the idea and meaning of working through the past and how this is or is not in evidence in the visual culture of Belfast city spaces and places. In answer to the question of what working through the past means, critical theorist Theodor Adorno said that sadly it does not mean “seriously working upon the past that is, through lucid consciousness breaking its power to fascinate. On the contrary, its intention is to close the books on the past and, if possible, even remove it from memory (2005:89). 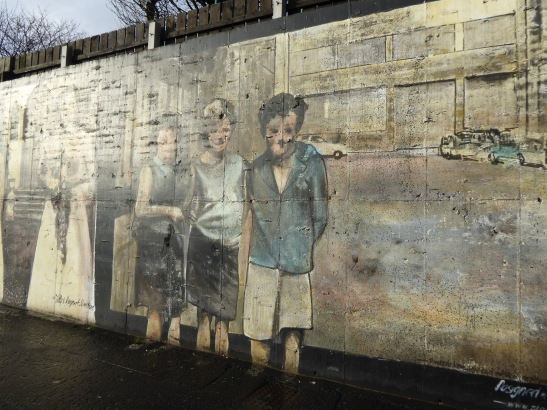 On the one hand the city centre spaces seemed to have expunged the traces of conflict (Bill Rolston described this as ‘silence in the centre’) and memorials to the past and yet in the Falls Road and Shankill road, in the working class areas of New Lodge and the Markets this past is visible, in memoria in the visual culture of the murals, memorial stones and gardens. one of the main problems during the last round of negotiations was the British refusal to open up the past and there are people who have been killed here that still have not had a coroner’s inquest forty years later, not two years later, forty years. I wondered if the process of walking and talking about the past in the present could facilitate a critical space in the sense Adorno meant in ‘working through the past’ given that we were literally ‘walking’ through the past in the present. 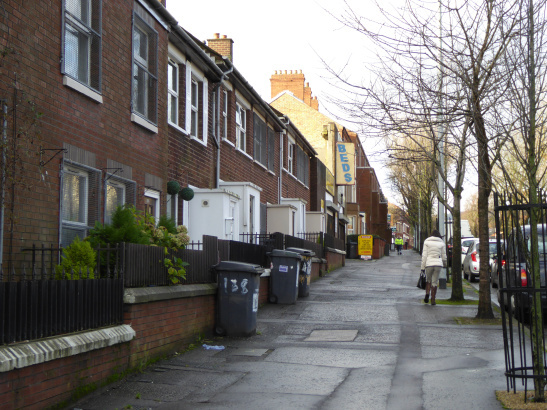 It also became apparent in the Belfast walks and current news reporting that conflict continues to play out in the present. I asked Michael what walking means to him in this context. for instance, I can’t remember the last time I was in East Belfast, I wouldn’t walk in East Belfast so that’s a whole quarter of the city that doesn’t exist for me. I wouldn’t walk in Sandy Row, I wouldn’t go near the Shankill even though I worked with PUP, progressive unionist party councillors and UVF, Ulster Defence Association but I’m not sort of welcome in their territory and that’s what it is. 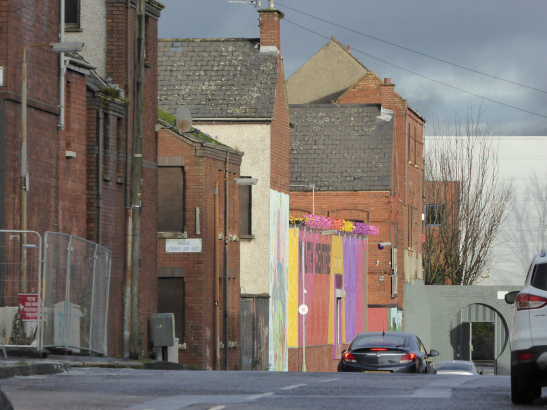 This city’s divided like that river divides the city, all of it bar two thousand people are Loyalists on the east side of the river, South Belfast is mostly middle class, West Belfast is largely Republican and North Belfast is a minefield of small communities, that’s where most of the walls are, the barriers and other things. There’s a big one that runs up between the Falls and the Shankill. 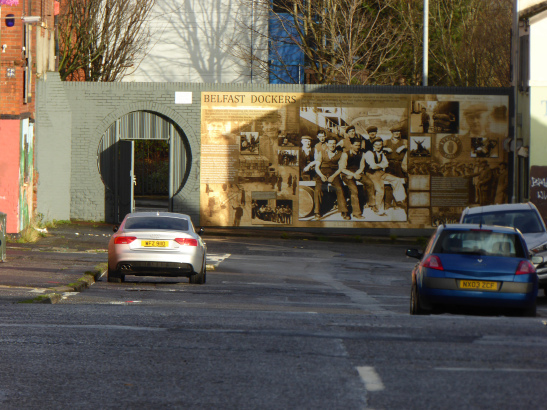 In North Belfast, there are smaller walls and there are also what’s called open interfaces like the West Link. 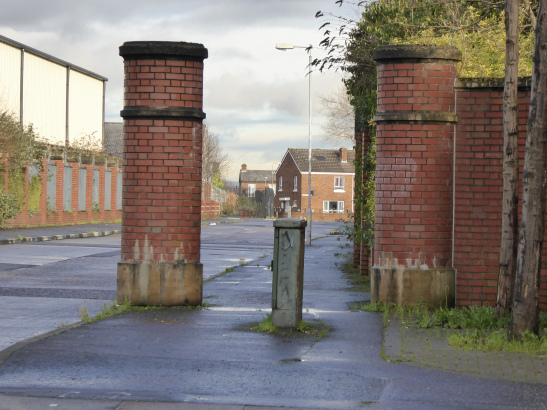 This road is an open interface so when you drive along from the left-hand side, the side of the hospital, it’s all Republican Nationalist, on the right, it’s all Loyalists. 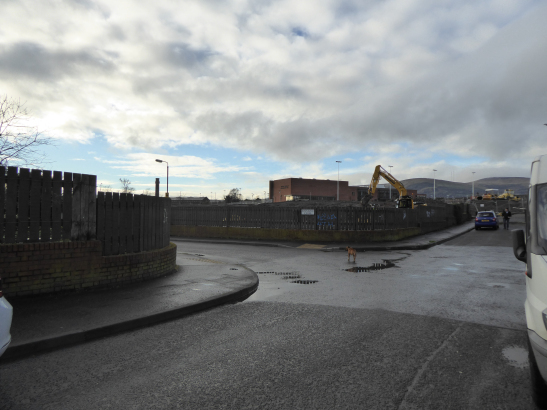 That road was designed to create, to do that, to separate the communities and Ardoyne where the Loyalist peace camp if you like or protest camp, it’s an open interface. There used to be large British Army fortifications, they’ve all gone now, most of the barracks have gone because they don’t need them anymore and one of the reasons the British came to negotiate with us was the Americans told them we need your soldiers we don’t need your soldiers in Ireland we need your soldiers somewhere else. 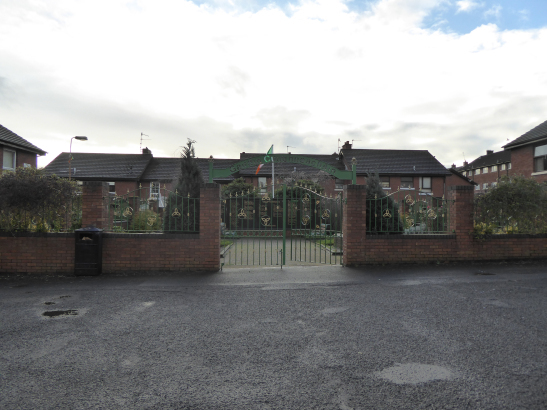 We walked towards North Belfast in the direction of the New Lodge area. Our walk and talk was disrupted quite a few times by cars honking the horn at Michael, or people stopping to greet him, to exchange hellos and a quick catch up. 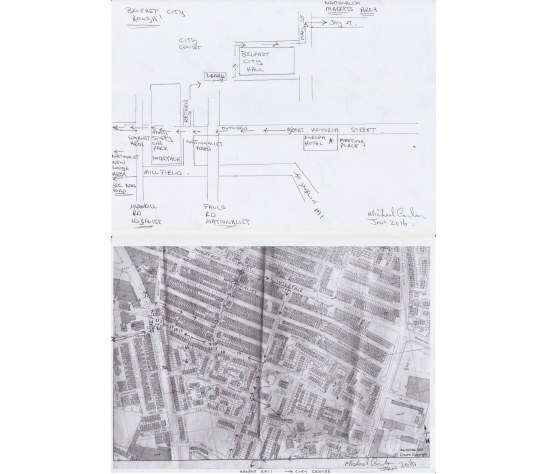 In 2011 the Institute for Conflict Research carried out research funded by the Belfast Interface project to produce a map and database of the ‘barriers’ and ‘defensive architecture’. 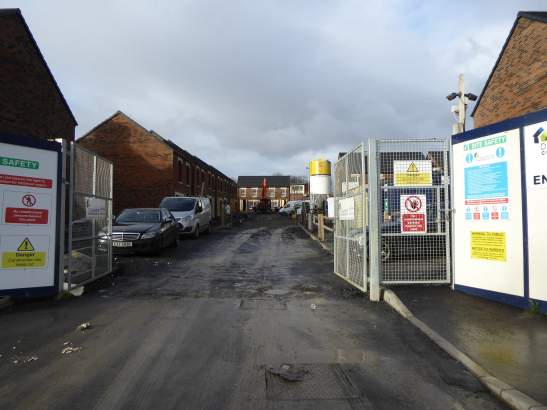 The report documents 99 different ‘barriers’ associated with residential areas alone. So, as I understand it, this does not include roads and car park interfaces. 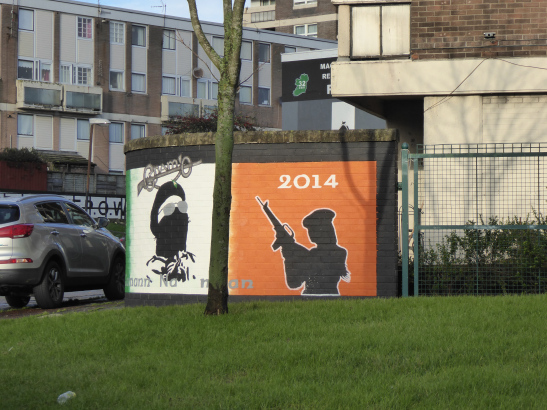 So you’re on the Falls Road, it’s very close to a Republican heartland. 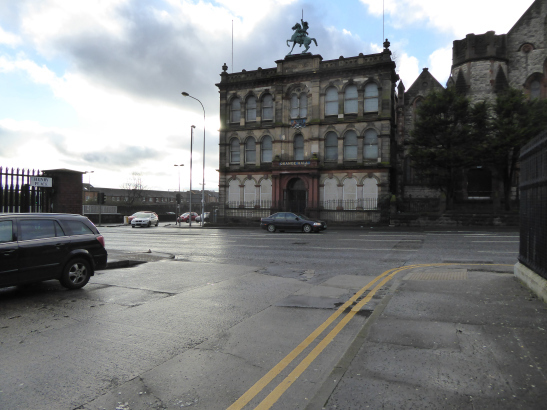 And we’re just coming up to Grosvenor Road Barracks which is one of the main police barracks. In a lot of places they’re called Police Stations, in Ireland they’re always known as Police Barracks because they were military barracks and unlike England and Scotland and Wales the police here have always been armed and because they were a militia if you like going back to the 98 rebellion and in fact the guards in the South of Ireland their real term is Garda Síochána I should call it, in Gaelic that means ‘Guardian of the Peace’ and there was a conscious decision after the Irish Civil War in 1922 not to arm the police because the previous police, the Royal Irish Constabulary were heavily armed and they were seen as, obviously, a British Police Force so whenever the new state was created in the south they decided to keep them unarmed which seems to have worked. So this is the police barracks. The far wire was erected after an RPG attack, it was fired from across the West Link so while it looks like just a red brick building it’s actually a concrete bunker, there’s reinforced steel behind those red bricks and the architecture of conflict is interesting because the facing wall there is again red brick and it’s designed just to look very normal but whenever they, my uncle’s bar was just there on that corner. Michael told me that where we were going to, the New Lodge Road, had more fatalities, more people were killed than anywhere else in the six counties. So for every fifteen yards, somebody was killed. A quarter of the casualties in the conflict occurred where we’re going to… and in fact, the first British soldier to be killed from 1921 was killed in the New Lodge, in 1970 Gunner Curtis and the IRA volunteer who killed him, Billy Reid was killed himself three weeks later and he actually died in a street called Curtis Street. Billy Reid reportedly fired the Thomson machine gun that killed Gunner Curtis and it was a big shock even to the locals, people tried to give the soldier first aid because the bullet actually reflected off a wall and went in under his flak jacket so he slowly bled to death and there’s a photograph of women trying to help him… its very reflective of a lot of conflict situations where people paint a very narrow brush stroke about people who are the casualties of conflict but the humanity of a lot of deaths outshines. There was a British soldier shot dead outside the Royal Victoria Hospital and a couple of years ago his family only found out that contrary to what the news reporter at the time said, that his body had been kicked and somebody had tried to steal his rifle, the real story was that people actually gave him first aid and the parents came over and went to the spot where their son had been killed and they did an interview and they said we don’t know who the people were who held our son’s hand as he died but it’s not what we were told at the time. 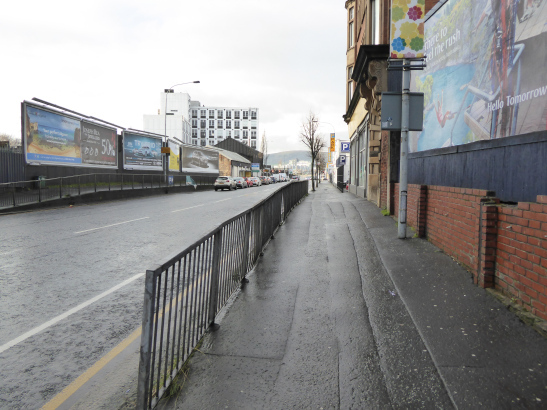 Looking towards the Shankill Road and East Belfast, Michael states, “I can’t walk across this, it’s too open. We’ll just cut down this one”. 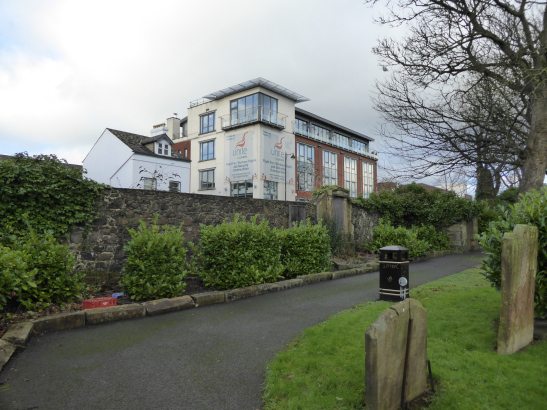 We walk back towards the city centre and then turn left at Castle court shopping centre on the right, to follow the road in the direction of New Lodge. Yes I won’t feel safe because there’s lots of people have been killed along that stretch and there was actually a group within the Ulster Volunteer Force known as the Shankill Butchers because a couple of them were actual butchers but they used to pick people up late at night, Catholics and have them for a couple of days and torture them..They were notorious and of course, the Nationalist Republican population were terrified and that was their intention, to terrify people. Michael goes on to speak about his daughter, born in 1994, and consciously not wanting children earlier because of not wanting to bring a child into the conflict. I asked him to say a little more about the architecture of conflict and he told me about a Brigadier in the British Army called Frank Kitson who wrote a book “which is standard manual in Sandhurst for British Army officers and it’s called Low-Intensity Operations”. So Kitson streamlined British Army operations and his book is also on the reading list of West Point the American Military Academy but coincidentally so is Tom Barry who was an IRA Flying Column leader in the War of Independence in the south and his book ‘Guerrilla Days in Ireland’ is also recommended reading. So that is Castle Court, that’s actually a peace line as well. The main British Army base used to be there it was a Grand Central Hotel and it was bombed, a lorry truck got them and completely flattened so they replaced it with a shopping centre and they deliberately built the car park to divide the far side of that is Nationalist, this side is for the Shankill side so they designed, the architecture softens things but there’s still walls. It looks like a car park. But it’s actually a wall. This little bar on the left you see the cage outside it? 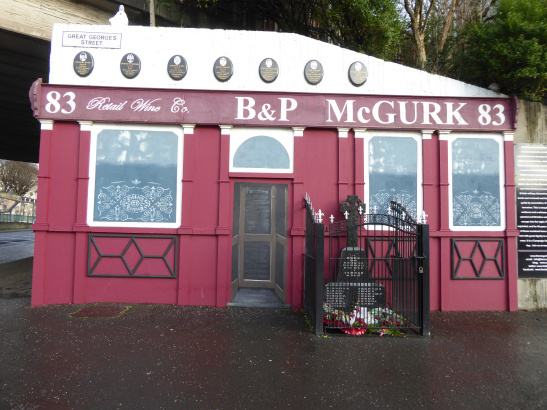 The UVF machine-gunned it one day, one Sunday afternoon and killed three fellows sitting at the bar and there was a British patrol just around the corner and they had a checkpoint just up there and the guys pulled up here, went in with an AK-47 and machine-gunned the bar. It’s a Folk Club now. I told Michael that walking with him was giving me real insight into the cultural history but also a better sense of the city both geographically and in terms of what he described as ‘the architecture of conflict’ and that in Belfast the concept of public space is a shifting or even virtual concept with spaces, like the shopping centre that is also a wall and the cage around the entrance to the sunflower acting as protective and/or surveillance mechanisms to shield or minimise risk. As you see Maggie the cameras are always in the middle of the road, everywhere you go in Belfast they’re not just traffic cameras. They’re linked into several commands of the police so they can control or see what’s going on. You see the Land Rover now? That’s no bullet will go through that Land Rover, they evolved over a period of thirty years, it looks like an ordinary Land Rover but the sides you can see they bulk out a bit, they have like a one inch steel plate, they have a false ceiling at the top because if a throw bomb lands on the roof it used to go through them and kill obviously the occupants inside so they have a space now where so that explodes, it explodes between two steel plates. The windows an AK-47 won’t go through that glass. The only thing to stop that thing is an RPG 7. The windows are actually gun ports. Our first stop was Clifton House, founded as a Poor House by Mary Ann McCracken, an advocate of the rights of women and children, and the sister of Henry Joy McCracken, one of the United Irishmen. 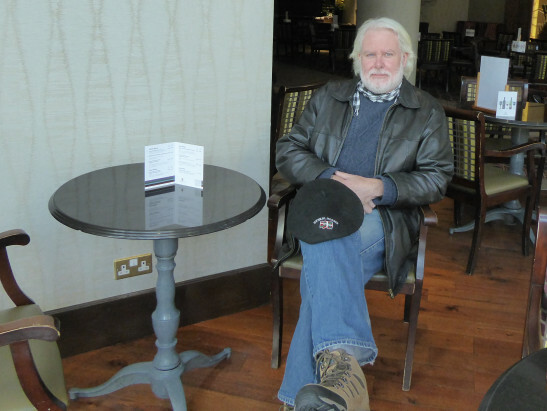 Michael tells me he was hung in Belfast city centre by the yeomanry, for his part in the 1798 rebellion. 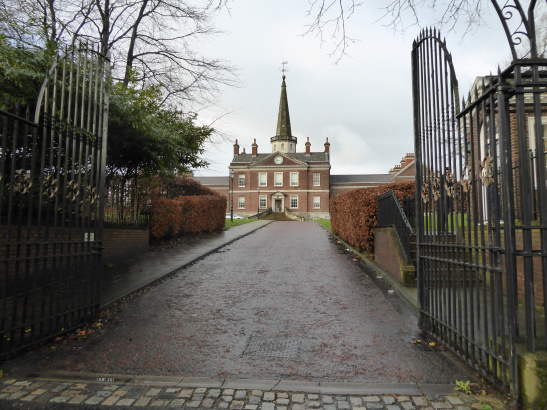 The McCracken’s came from a very wealthy Presbyterian family. Most of the 1798 rebellion leaders were Presbyterians because they also suffered under the penal laws because although they were overall Protestant they weren’t Church of England so they were seen as Catholics so it’s curious so that’s why you had so many Presbyterians involved in the 1798 Rebellion. Everything around here was bombed, practically every building in the city was bombed at one point or another and reconstructed a bit like Berlin after 1945 or Rotterdam. 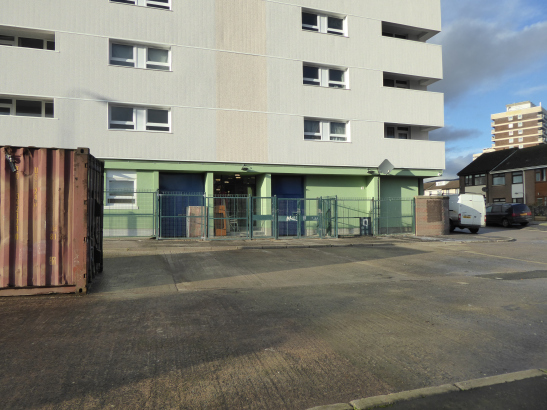 This was a former British Army barracks which is now social housing so I was taken in here quite a lot and I would have been arrested quite a lot and brought here. It is great to see now its houses. This was one of the main British forts so it’s a sign of the times and there would have been maybe about a hundred soldiers in here and about forty police. I asked about the history of the place and Michael said it was part of the peace negotiations. We asked them to demilitarise in return for us decommissioning our weapons in 2005 and the British Army said we will demilitarise your areas. 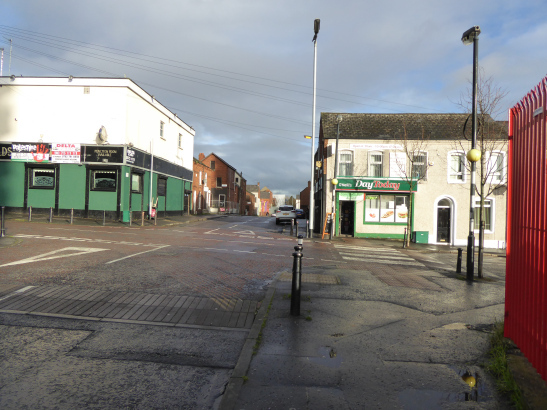 Before this road was built there was a bar here, this is a replica of it, called McGurk’s Bar and one night a Loyalist, the UVF put a large bomb in the doorway and killed thirteen people and yet the fort, the British fort was just here and the British Army press office said it was an IRA bomb that had been made inside the pub that exploded so they never went after the people who carried out the bombing until a lot later. You can see the little cameos of the people who died like Tom McLaughlin a dedicated husband and you can see they’re all just ordinary people enjoying a pint after work and stuff and again Leonard Kane devoted husband and father, his son was actually killed by the UVF twenty years later. Yes, that’s actually the man Mr McGurk who was killed there, apparently, he was standing at the door like that when the bomb went off. 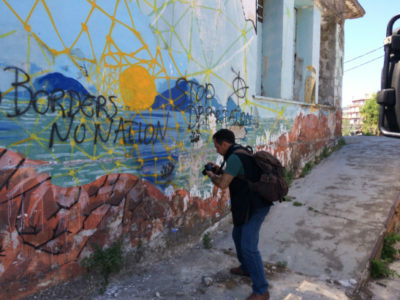 I ask about the murals on the wall on the opposite side of the street. Yes this is a dock area so this represents the dock families, the dockers, but these would have been real people, these have been taken probably from photographs like their wedding photographs and stuff, this is a big dock area and a lot of people went to sea here. These flats used to be named after British Generals, Alan Brooke House, Doe House from Second World War British Generals. 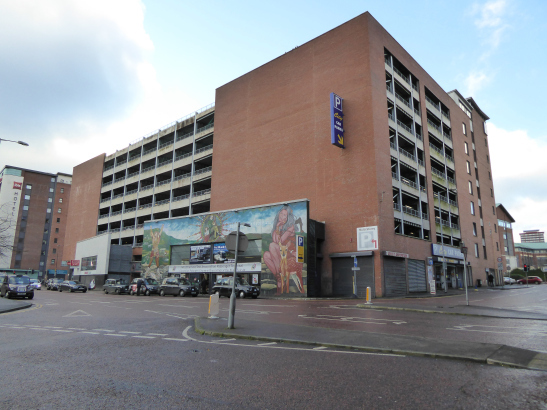 This tower block used to be called Churchill House after Winston, it’s now known as Cú Cuchulainn, Cú Cuchulainn which means Cú Cuchulainn’s House in Gaelic and Cú Cuchulainn is the ancient Ulster warrior. 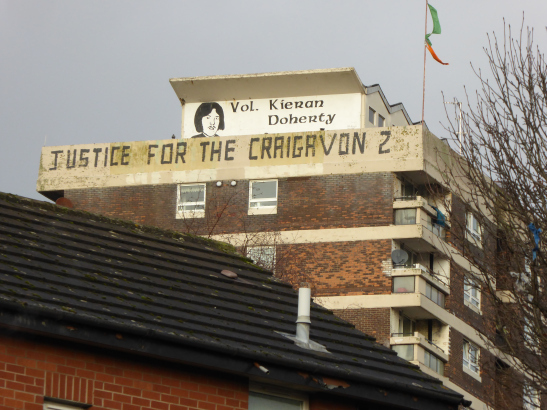 You can see Justice for the Craigavon Two, that’s a recent campaign, two young fellows were sentenced for life for shooting a police officer in Lurgan but the evidence was very, very dodgy so they’re trying to raise international legal assistance to re-examine the evidence. It’s a big thing in Belfast the murals. Yes, well there’s much more of a socialist content which sort of reflects Cuba, Nicaragua, the murals you would see in countries that had popular revolutions and I suppose in a sense the use of art was a conscious act of resistance it was very pacifist because you’re painting with a paintbrush and yet if you had been even doing something as simple as that when we were putting that memorial up many, many years ago to McGurk’s four, people were arrested and taken into the barracks and questioned. Tiocfaidh ár lá is Gaelic for our day will come and you can see the Palestinian flag and the Irish flag and Saoirse is freedom. And you can see if it’s in Arabic as well. Michael tells me the relationship between Palestine and Republicanism is about liberation. This is the old Victoria Barracks so going back to the Boer War this would have been a major British Army barracks and actually, this is Churchill Street we’re coming into… We’ll walk quickly through there. The locals don’t call it Victoria they call it Vicky Barracks. This was a big, big British Army barracks whose troops were actually sent down on Easter Tuesday to quell the rising in Dublin, they actually left here to go to Dublin to fight against the rebels, the Irish rebels in the GPO. I asked about the physical and emotional impact on generations of families the history and also the reminders, like the towers, on the psyche of local people living here. All the bridges are named after queens or kings none of them is named after the river, the most natural thing when you build a bridge over a river, is to call it after the river. Like the Lagan Bridge but no, it’s the Queen’s Bridge, there are actually two Queen’s Bridges side-by-side…it’s just there and occasionally we tried to get a lot of names in Gaelic and the Falls area would be more bilingual..and yet if you drive through Scotland the Great Western Road from Glasgow to Inverness it’s all in Gaelic and the same with Wales even the police in Wales are bilingual. I say that geographically it’s such a small city to be sectioned with walls, gates, roads and shopping centres/car parks that are also walls. 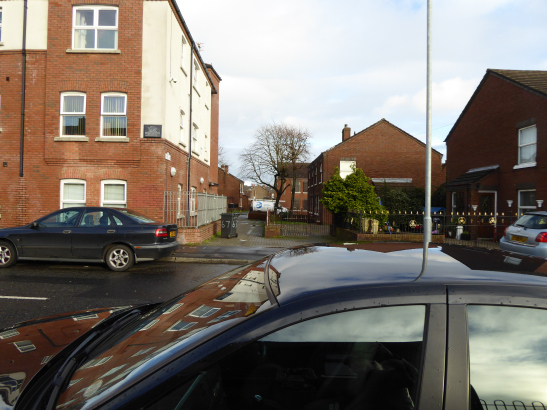 The first house just past the corner was the old Sinn Fein office I used to work in and it was machine-gunned, two Loyalists pulled up and hit it with two AK-47s and the British Army were up in that tower block up there and they opened fire and shot one of them, one of the Loyalists. 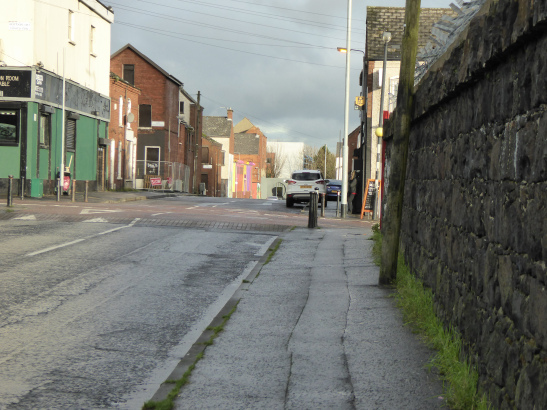 That’s the peace wall down there the fence at the end of the road and the far side are the Loyalists. So this area squeezed between the Shankill and Tigers Bay and that area was named Tigers Bay because they were from Wales from the Tigers Bay area in Cardiff so they brought their name with them many, many years ago but you can see how easy it was to move especially by car, you come in, do a quick hit and drive off. 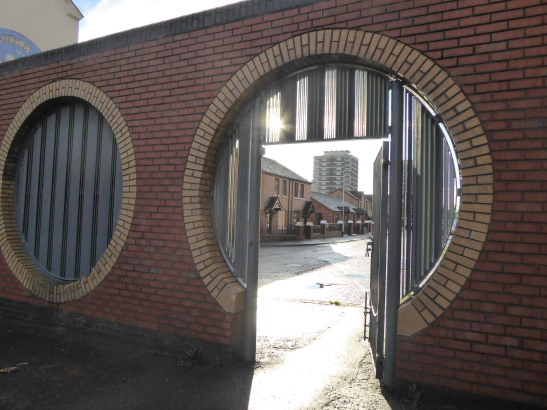 Over the last twenty years, there was a club there, it was called the Circle Theatre Club and it’s gone, it was blown up by the Loyalists. 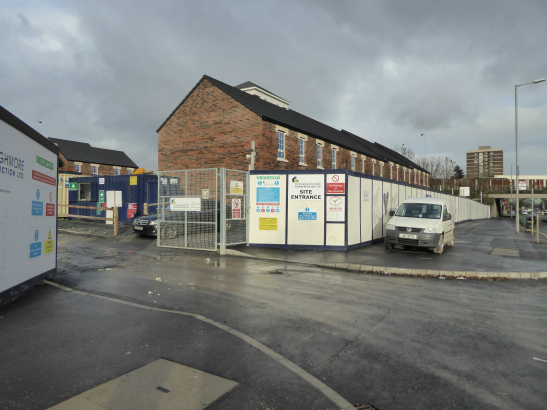 So these new builds you can see those would have been the old houses traditionally the terraced houses running down and this is what I was saying earlier, you now have one way in/one way out. To get into this part of the New Lodge you can only drive in one street. We’ll take a walk through here but it’s all chicanes and again that was to give the soldiers cover from IRA snipers so they could dodge and weave. This is the New Lodge Massacre, you can see that this is one of the people who have been shot and their names are round the image and you can see the tower block and the helicopter with the searchlight and Edlingham Street is that street here, that’s where the club was and you can see at the bottom, ‘still no justice’. No one was ever found guilty, they were all killed by British Army bullets. Michael went on to explain that he knew TC, Tony Campbell that he was coming back from his birthday party, a young fellow who was only about eighteen and Ambrose Hardy. John Loughran his son John Junior is a friend of mine but these were ordinary people just on a Saturday evening and actually what the British Army were doing they were, they’d just got their night sights and they were actually experimenting on their night sights. So they instigated the news reports say there was a massive gun battle between the IRA and the British Army there was no gun battle. He went on to say that local people held their own community enquiry and the community enquiry report says there is no evidence whatsoever that they were armed or acted in a manner that could be perceived as a threat to the security forces. “We have been deeply shocked by the state’s total failure to investigate killings and wounding’s”. 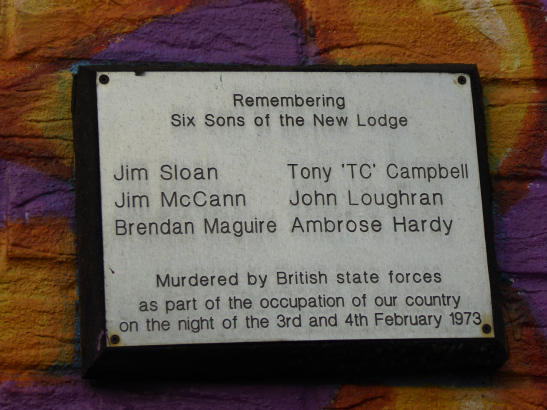 So that’s a tiny memorial and it says murdered by British state forces and that’s very important for our people to say it was the British state forces. 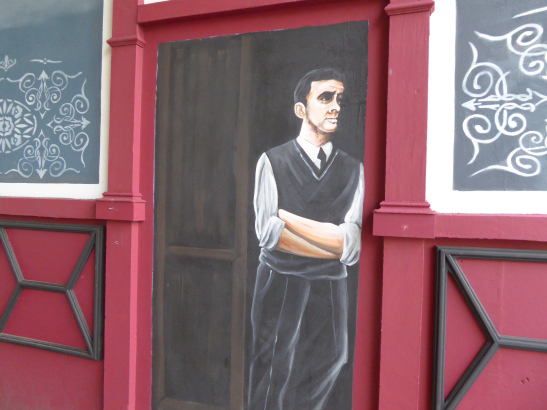 On the opposite house, wall was another mural. This is a local Flute Band. 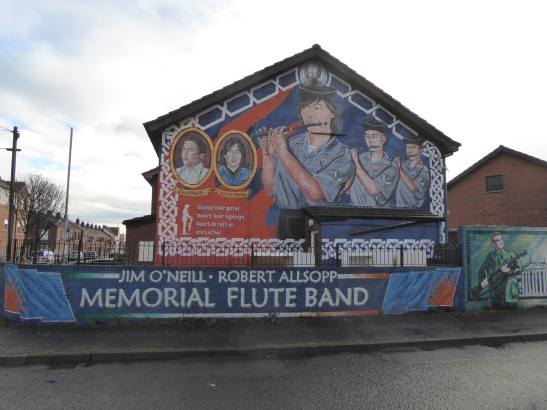 The two lads Jim O’Neill and Robert Allsopp were two Fianna members, the Fianna is the junior wing of the IRA and they were both killed they were both sixteen from a local band, Jim O’Neill, Memorial Flute Band. So they have a band that goes out as you can see on Easter Sunday they play over at the cemetery. So that’s the GPO in Dublin and that’s an effigy of an Irish volunteer in 1916 and then the Easter Lily is a symbol of Republican death and it’s got green, white and orange the lily and it only flowers in Easter so it’s a very symbolic The flag there is the Fianna Flag, it’s a blue flag, a sunburst… and the image at the top is the phoenix rising out of the flames and that goes back to a lot of this area was burned… there was so much burning all over the city. This is the Commemoration Garden, on Easter Monday this whole community comes together and there’s a couple of thousand people here and they come and lay wreaths, families lay wreaths to their dead. It was actually created about twenty years ago, we got the land from the housing executive and we tried to fix it up as best we could but it was all local guys, local bricklayers. People built this, a welder got the railings done, the stone mason from Lurgan did the stonework for nothing but I’ll just show you the names here. 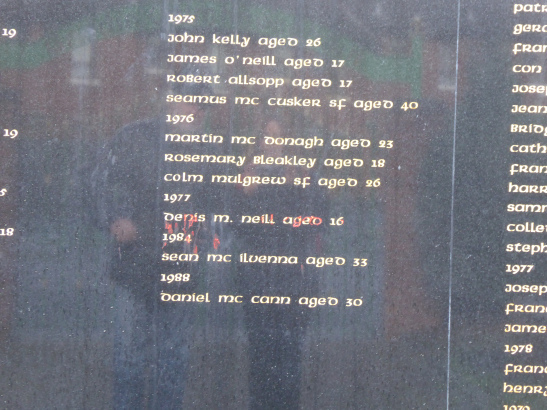 These are the IRA volunteers of the area so from 1970 to 1988, sorry the bottom one there Daniel McCann he was killed in Gibraltar by the SAS with Mairéad Farrell and Sean Savage. Sean McIlvenna was killed by the British Army in County Armagh on active service. Rosemary Bleakley was blown up, she was eighteen. There’s a family the Dempsey’s ten months old baby and that was the baby’s mamma and daddy, she was only nineteen and they were burned to death, the Loyalists threw a petrol bomb into their house and they burned to death. Pat Finucane was my lawyer. He was shot fourteen times in the face. He was a famous human rights lawyer and he was eating his dinner with his wife and four kids, his wife was shot as well and she survived. There’s actually a documentary and the killer who shot him fourteen times in the face admits it on camera with BBC Panorama. Pat was my lawyer and when I was being interrogated they would show me a photograph of him, scene of crimes photograph and his face completely gone. So Sean was a good friend of mine, he was actually on the run, he had five children and he was killed. Colin Mulgrew, he was killed at his front door, he was another friend of mine. Rosemary, I knew well too, she was blown up down the bottom of the road there but you can see it’s sort of, well, people come here, relatives of the dead they come and sit here have a smoke or have a chat so it’s just a piece of, a bit of tranquillity for the people, who you can see the cameos. So that’s my old friend there Danny he was killed in Gibraltar. There’s Sean as well and there’s Rosemary. So these are all good friends. It’s always hard when you look at their faces, sorry. I saw Danny getting killed on TV or BBC ITN news report on Sunday night and he was wearing a white shirt and he was walking along the street in Gibraltar and the SAS came up and just shot him dead, he was unarmed and Mairéad Farrell was with him and he actually put his body between him and Mairéad just to try to protect her and they shot him then they shot Mairéad. for the first week they didn’t try to pixel it or didn’t try to cover it up so Danny’s wife who lives down here and his kids she had to take the TV physically out of the house in case one of the kids was watching cartoons after school and saw their daddy getting shot dead, so that was particularly cruel . And there was an eyewitness who saw it and reported it that because initially, they said they had a bomb and they were going to detonate a bomb, they found no bomb, no button, no weapons or anything and she was Spanish and she made a thing to Spotlight or World in Action I think it was again and she was then portrayed in ‘The Sun’ as a woman of ill repute over this and they complete denigrated her because she saw what happened and she says no, no that’s not what happened, the two of them were walking down and they turned round and these guys wearing civilian clothes came up and just started shooting them and she gave an eyewitness account. they would have come out here and their Land Rovers would be coming in and these are bullet holes from an AK-47 and these went through the soldier and someone actually wrote here it’s fading now says ‘here’s the spot where a terrorist was shot’ because in locals’ eyes he was a terrorist. Michael went on to tell a story about a friend of his Terry O’Neill, a singer and the importance of a Labi Siffre song, Something Inside So Strong. Terry was shot two streets over but he survived. Labi Siffre heard that Terry was singing his song in Dublin and he complained he said ‘my song is about South Africa it’s not about the terrorism in Ireland’ so Terry phoned him up and says can we meet. So they met, he was playing a concert a couple of months later in Dublin and Terry just talked to him the way I’m talking to you and Labi Siffre went and issued a statement saying ‘I have absolutely no problem with anyone in Ireland singing my song’ which was a big thing, and again it relates to borders and walls, ‘no matter how high you build your walls I can stand higher’ and you listen to the words and it’s very, very appropriate for these small areas. So as you can see the rebuilding of Belfast. 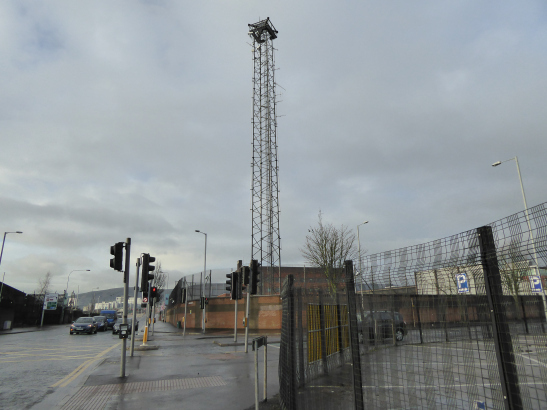 That’s the fort, that’s where the six hundred soldiers were based in this area down here and this was their main base in North Belfast. There was a helicopter landing pad and in actual fact the torture of internees occurred in this camp in 1971 during internment. So if we just cross the road and it’ll just give you a quick aspect of the size of it. 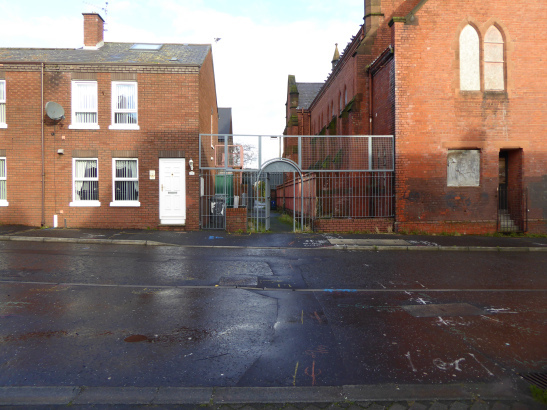 Right back to those houses and so they occupied from here and that’s the prison that’s Crumlin Road Prison… The prison is an exact replica of Brixton Prison and Kilmainham Prison in Dublin, they were designed by the same architect. I spent some time in there [laughs] just that I was detained for a short while but that’s where they used to put us. So we’re just on the edge of the New Lodge here Maggie, this is Hillman Street and this is the peace line here we’re just about to go through. Again these gates are closed and padlocked in the evenings, they’re open during the day to let people use chemists and kids going to and from school and stuff but this would have been a street. I asked about the church next to the gate. Yes that’s a Presbyterian Church that’s actually where I voted in 1998 for the Good Friday Agreement, that was a polling station for a referendum but you can see how close we are, that’s East Belfast Maggie the shipyard cranes so that’s the river’s between here and there and there was no Catholics worked in the shipyard, they had like thirty odd thousand workforce but you never if you were a ‘Taig/Teague’ whereas in Glasgow it was different like Billy Connolly worked in a shipyard. Yes so you can see the padlocks, padlocks are always new. And the gate’s quite strong. 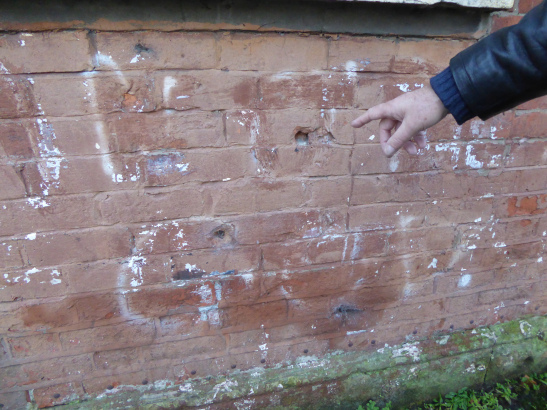 This space has been worked out so that a petrol bomb won’t go any further so this is why it’s this wide if you’ve only one you can throw a petrol bomb over so they move it to make space and you can see the houses have grilles on the windows. Even the Presbyterian Church and then further down you don’t see the grilles because they’re that wee bit further away and the next street going into Tigers Bay is actually sealed off so they can’t come out there and you see the anti-climb paint it means if somebody climbs up the stuff sticks to their hands. I ask if this really is somebody’s house. Yes, so this is the front line if you like, that’s Loyalists over there, you can probably tell by the park swings they’re painted red, white and blue, they sort of freshen them up around the twelfth during the summer but again what the British did was they built factories so while it looks like a factory here, that’s actually TeleTech which is owned by a Boston millionaire, it’s a call centre and they built these to act again as a buffer between the Loyalist houses there, that’s a big UDA area. 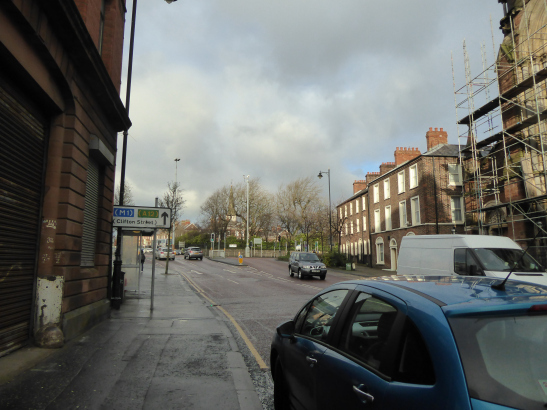 Michael told me that the early film footage of the troubles was shot on this street. 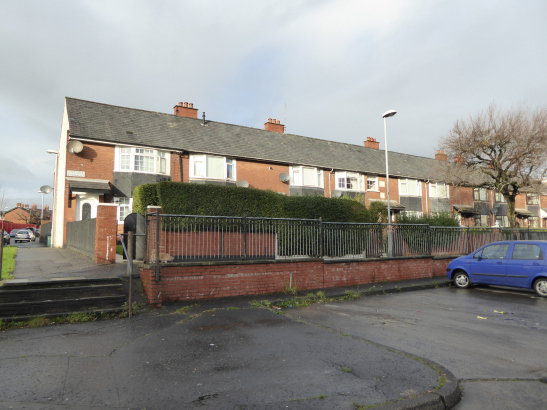 This is Duncairn Gardens and at one time it was quite an affluent street, there would have been a lot of good shops and stuff and over the years they just they all disappeared but you can see every house has grilles on the windows. And it’s because that’s open you see there’s no barrier across the street so on the twelfth of July, you might get two/three hundred Loyalists coming down here. I say ‘we are literally on the border, we are walking the border’. I was shocked and disturbed by the presence of so many walls and gates. Yes, we are on the border. North Belfast is like a patchwork quilt where you have a Nationalist area, a Loyalist area, another Nationalist area, another Loyalist area and that’s why the casualty rate was so high because you only had to walk across the street to kill somebody whereas in West Belfast it was sealed off by a seven mile big wall between it and the Shankill and then you had the motorway on one side so and then the British Army used to have a big barrier at the bottom at the time of the conflict they would close off so effectively they could patrol seventy odd thousand people very, very easily just by closing off the barriers and as the war went on in the 70s and the 80s and the 90s things became more sophisticated and again they started building roads where there were walls to make it look, to the outsider, as if it was normal but if you come here at eleven o’clock at night it’s definitely not normal. We were walking back towards New Lodge and Michael pointed out that he used to be able to drive along here but the road was blocked “from I think about 71, this is obviously a more modern construction and what they did was they started using more circles to make it look more attractive”. I reflected on the contrast between the architecture of the new build housing and this older terraced street with a back alleyway, that is clearly a risky and vulnerable space in so many ways. Yes the entries, these are old houses and the British Army never liked them in there for landmines, tripwire, a piece of fishing wire and they trip over and a landmine would blow their leg off but also you could easily get trapped in there. So the Colman House was where kids come and did after school stuff. I don’t think it’s open any more, I think it probably fell foul of the Tory cuts [laughs]. And there’s the Transport and General Workers Union, the docker’s branch so these would have been all local people. That’s Jim Larkin there the one with his hands up there’s a statue to him in Dublin the 1913 lockout. 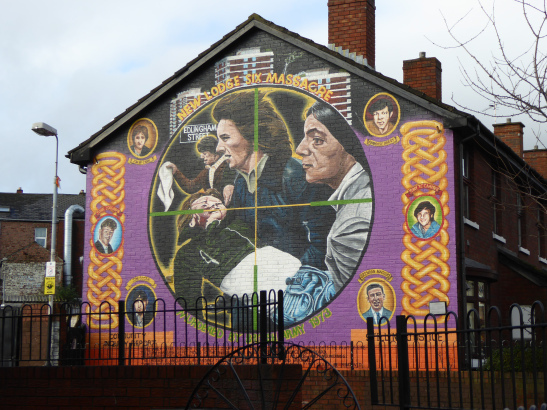 I say that one of the most dominant feelings and impressions in New Lodge is the complex intersections between social class, poverty and the relationship with sectarianism. Yes it’s the PUP the political wing of the Ulster Volunteer Force say they’re socialists and Billy Hutchinson their leader and David Ervine God rest him he’s dead a few years ago, we would have these discussions on the margins of City Hall meetings and I would say ‘how can you be a socialist if you’re a monarchist? You can’t believe in equality if you have to go down on your knee to somebody called Windsor who used to be called Battenberg. At this point, Michael met an old friend and introduced me asking his friend to tell me about when the Brits were up on top of the building opposite his flat. Oh, they had me tortured so they had, their flashlight, big lights at my window every night, kitchen window and they had listening devices, the IRA fired their rockets from my balcony. 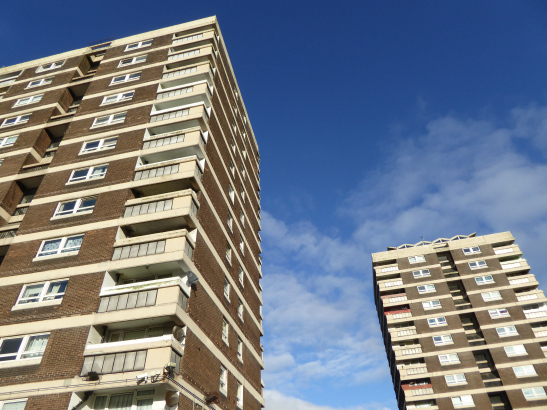 Michael explained that his friend was an ex-prisoner and the British Army had the top floor of the adjacent block of flats and his friend was on the top floor opposite. 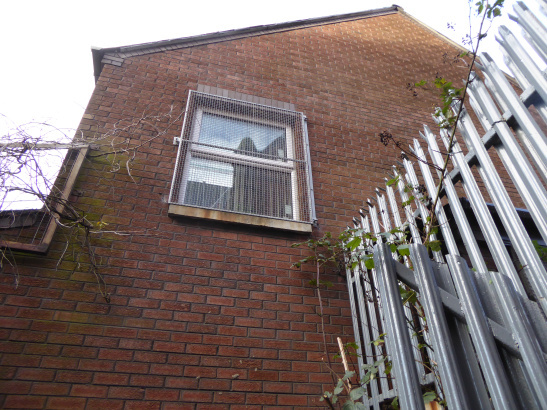 So the IRA put a horizontal mortar on his balcony and fired it across. He was arrested and there’s film footage of a lot of this. it’s all on YouTube and you can actually see these streets but in a completely different context. They had lots of transmitters at the top and every now and again they obviously broke down and there was a soldier out fixing it one day and an IRA sniper fired and shot him and he was on a harness and he was swinging there all day and they wouldn’t come out to pull him in because they were worried, he was shot under the arm, he survived and the local IRA commander said because the sniper was about to fire and finish him off and he said no he’s been hit come on, he’s not a problem anymore. So they actually said to some of the women who were at the bottom of the flat, ‘listen tell them we’re not going to shoot him and pull him in to get medical treatment’ and they didn’t, they waited till night time. That’s a Nursery School there so there was all these wee tiny kids coming out and looking up. I asked Michael about the levels of trauma in the communities. “Oh Jesus, big time! Prescription drugs is massive here”. I was thinking of what living through and in this does because the evidence and inter-generational memories are all around you and everyone has someone who has suffered, who has died in horrendous circumstances and in addition, there is unemployment, poverty, austerity. For Michael this is a huge issue, he says people here had no jobs and then they would look out at Stormont on the hill, the Unionist Government controlling the wealth in the city and people around here had jobs in the docks or went to sea but not in shipbuilding. 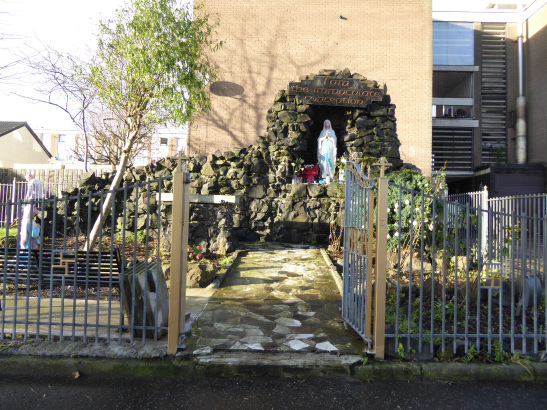 Michael pointed out the presence of the Catholic faith here, symbolised in the New Lodge Grotto. you’d stand talking to them and you’d say where are you from and they’d say oh I’m from Newcastle-on-Tyne or I’m from Kent and you’d stand and they’d look around you and they were terrified of snipers from these high-rises, or throwing bombs from the top. Cumann na mBan is Society of the Women and that’s the female volunteers. The symbol above the girl with the sunglasses in the middle is actually Cumann na mBan with a Mauser rifle from 1916. 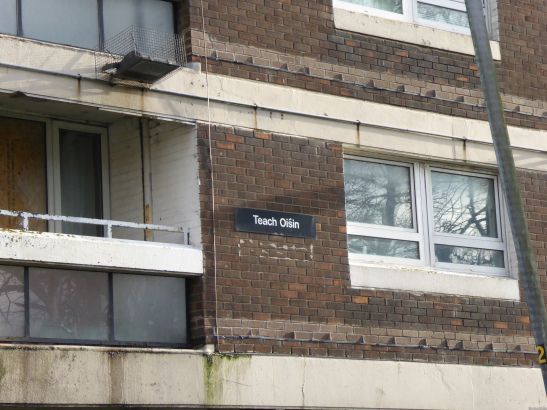 The flats are named after mythology, Fionn, Oisín and this used to be Alan Brooke and that used to be Doe and they were British Army generals. These were all built because this was the former Victoria Barracks. Because there are seven tower blocks we named them after the seven signatories of the Easter Proclamation so it would have been Connolly House, Pearse House, MacDonagh House but now the Loyalists objected to it so they ended up accepting the mythology characters because they said well they didn’t exist… and this used to be Churchill House so Cú Chulainn sounds a wee bit better than Winston Churchill House. 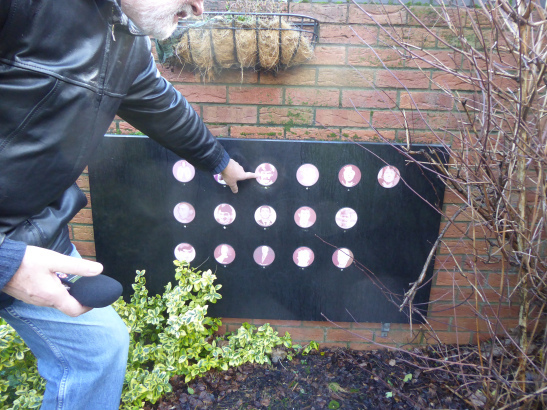 I ask about the security grilles at the bottom of the flats. Yes, they’re all concierged, it was to try and stamp out drug dealing so we now have concierges in all the flats so when you come in you have to ask and know somebody in the flats whereas before young people were going in and buying tablets low-level drug dealing. We have returned to the cemetery near Clifton House, the first stop on Michael’s walk. 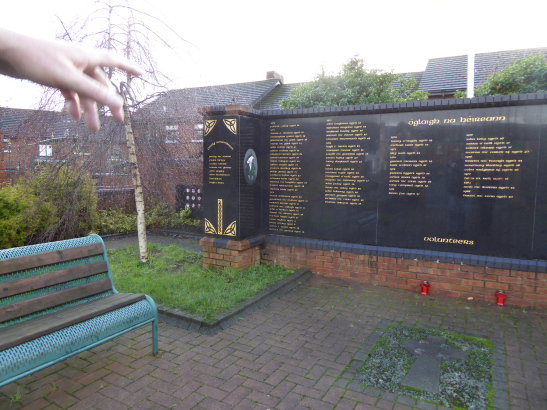 “This is Clifton Street cemetery and there’s about ten United Irish buried in there”. The United Irishmen are a major theme in Michael’s conversation. Henry Joy McCracken and his sister that’s where they are but again you can see there’s no mention. ‘Henry Joy a member of the famous family started cotton spinning’ but it doesn’t tell you that he was executed in the city centre for his part in the United Irish Rebellion so again you’re looking at filtered history even though he was one of the first Republicans in 1798. The rewriting of history has already begun. Fig. 49. Walking through the Cemetery. 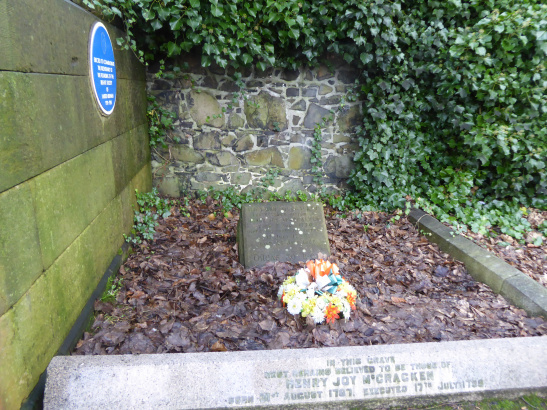 Michael pointed out the plaque to the founding of the Belfast Society of United Irishmen 1791 and the grave of his sister Mary Ann McCracken who went on to live to in her eighties; see she died in 1866. She wept by her brother’s scaffold seventeenth of July and cut a lock of his hair which is in the Ulster Museum if you’ve time and then at the bottom síocháin which means peace in Gaelic, peace on earth so beloved sister of Henry Joy so this was, this was where all the problems started [laughs]. Yes, yes and there’s another ten. 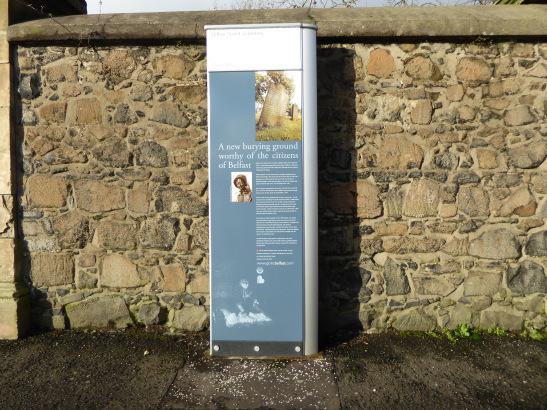 There was, they used to have a little map here showing where they were of the United Irish buried here. whenever we were getting taken away in an APC when you were handcuffed and you were looking through the gun port at the back and you could see the Cave Hill and you’d think ‘if they hadn’t founded the United Irishmen I wouldn’t be here [laughs]’. Oh there’s William Drennan he was another United Irishman, he was a doctor. “Pure, just, benign thus filial love would trace, the virtues hallowing this narrow space, the emerald isle may grant a wider claim and link the patriot with his country’s name”. 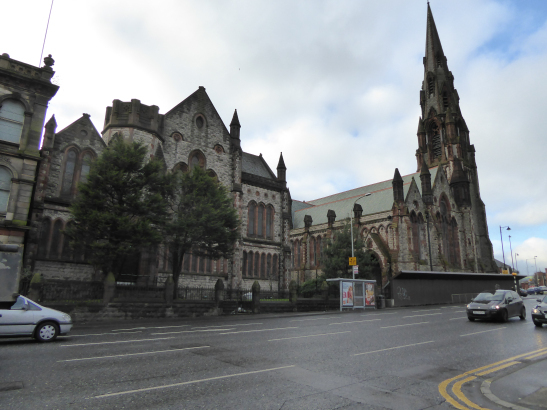 and then you start seeing a bit of the history of the Catholics in Belfast but before that, there was no official place to be buried. Priests weren’t allowed to say mass under the penal laws so there’s no churches and no Catholic Chapels so the ‘mass rocks’ up on the mountain people would have gone up to a secret place and the priest would have been executed if he had been found. 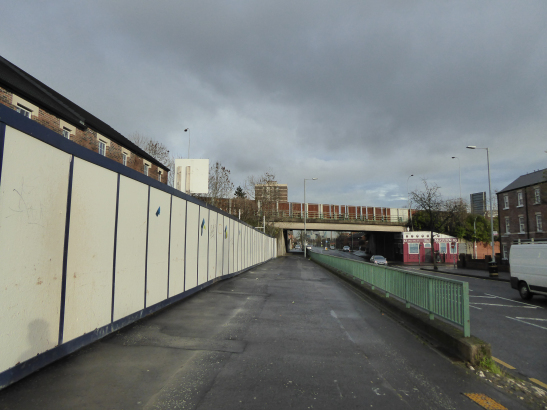 City centre spaces: Bombs and Mobility. So we’re coming back out on to Clifton Street, that’s Clifton Street Orange Hall, that’s the main Orange Hall in Belfast and that’s where the marches start. Yes and next door that’s now an Indian Centre, an Indian Cultural Centre. 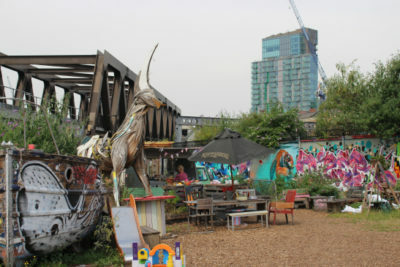 The landscape is changing with a more ethnically diverse community. 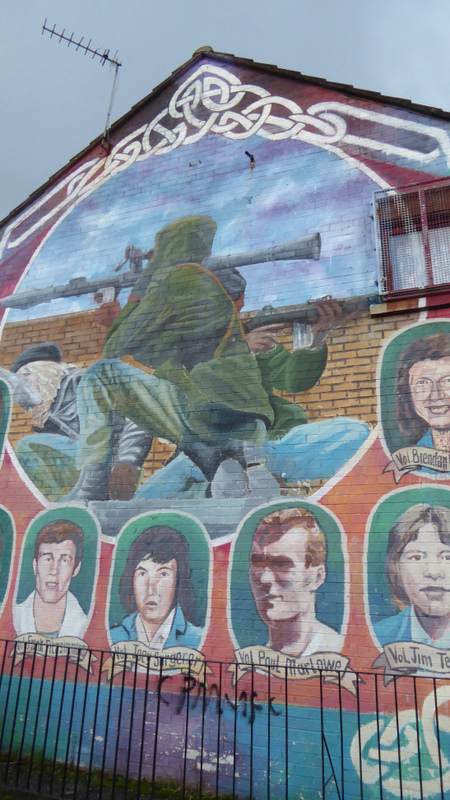 Returning to the risks of living in a sectarian society, Michael went on to tell me about the times he was blown up. He was blown up in a bar in 1974 up beside Queen’s University. He was blown into a toilet and the ceiling collapsed so he was trapped under rubble. I was actually pulled out by a British soldier and he gave me first aid to stop the bleeding because I’d several puncture wounds from shrapnel and was bleeding quite badly and there was two people killed, there was a girl I remember seeing her. I was in another bar and it was blown up it was a Saturday night and it was machine-gunned and there was an old man shot dead, he was shot in the head just beside me and then another week I was in a supermarket and it was blown up so after the third one I says I’m getting out of here. So I went to work in Holland for Volkswagen and I stayed there for a few months and had a bit of a recovery time and then I tried to get my education together. I was about eighteen, eighteen, yes because I was actually just finishing my O’ Levels at night class and I was playing goalkeeper for a soccer team, the college soccer team and we used to meet in a bar just to discuss who was getting lifts where and normal sort of Friday night thing and the Loyalists threw a bomb into the bar and I actually saw it, it was a gas cylinder with a fuse burning like a Tom and Jerry bomb fizzing away and everybody ran towards the back of the building, we couldn’t get out the front because they were standing with machine guns so everybody ran to the back and the bomb went off and part of the building collapsed you’ve probably walked past it if you were up at Queen’s it was called The Elms, the last people who had it but it was blown up simply for the fact that they knew brothers who were Catholics owned it and the UDA told them to close the bar and they said no. 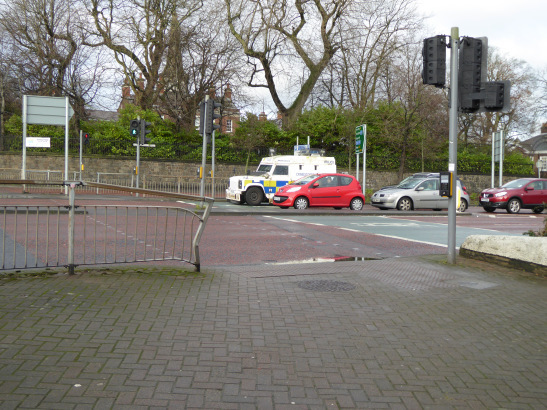 Having walked around the Queens University area the previous day, I was aware of the bombs in the university quarter. Michael talked about his former tutor Miriam Daly, a member of the Irish Republican Socialist Party who was assassinated by the UDA. I knew both of them very well and I knew Miriam from Republican politics and the death squad had got in the back door at two in the afternoon and tortured Miriam and they were waiting on her husband but he had got a phone call by chance and he ended up going to Dublin so they missed him but their two kids came in, a little boy and a little girl and they found their mother. 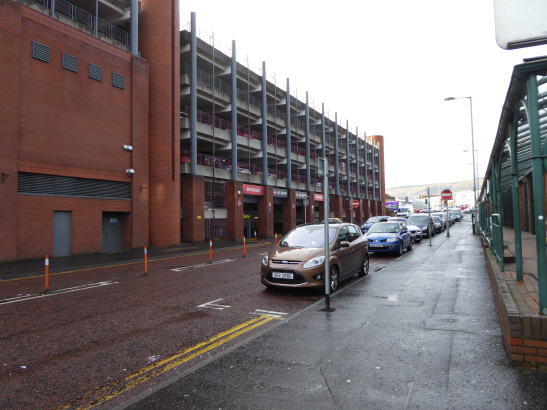 We had returned to the Court Shopping Centre and Car Park. 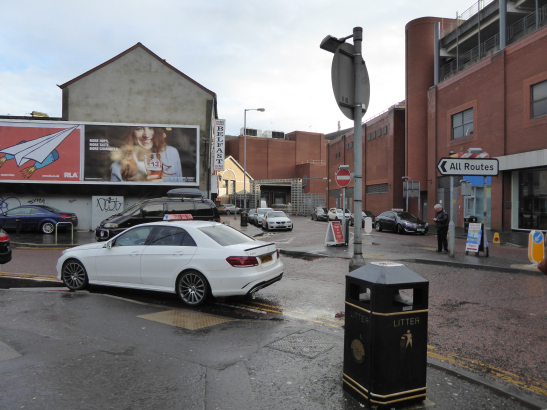 So those black taxis are the Shankill black taxis, this about as close as I get to the Shankill [laughs] but on the far side of the shopping centre there’s the Falls taxis so you can see the way the shopping centre car park is built between here and there. He was executed in the Robert Emmett Rebellion and there’s a famous poem called ‘The Man From God Knows Where’ it’s a lovely poem and he was the first librarian here. So it’s a very, very old library, they have a coffee shop there and they have a good political collection and they have the original newspapers. Fig. 54. 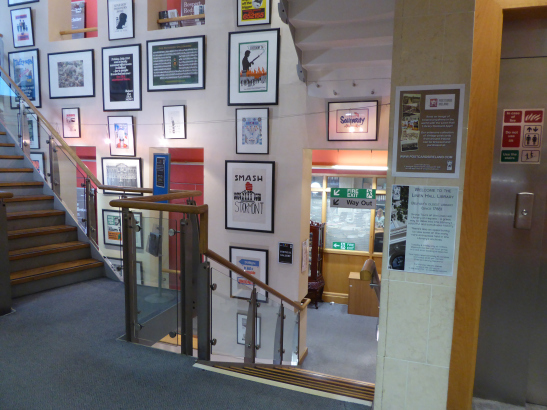 The Linen Hall Library staircase and gallery. 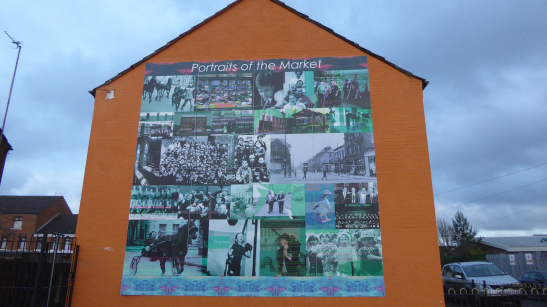 Our walk ends in the area behind the civic hall, the area called ‘the Markets’ an area that is represented in the murals and plaques as an area of strong working class resistance. Walking with Michael gave me a richer insight into his biography linked indelibly to social class, the history of Republican politics from the United Irishmen to the internationalisation of the conflict, transitional justice and the idea of the ‘architecture of conflict’ and its legacy. The relationship of Michael’s biography to place and the pull of the return home, in his leavings and returning’s, are strongly highlighted. Walking with Michael connected me to the history and politics of the New Lodge neighbourhood, the design of public space, the car park, roads, ‘peace lines’ that also acted as borders and the commemoration gardens and murals that memorialised the dead and were visual reminders of sectarianism, the bloody conflict and risk played out in the neighbourhoods and city spaces. It seemed to me that whilst it was important to enable spaces for these stories to be told and heard it was also important to reflect on the justice process and the demographic changes in Belfast too. 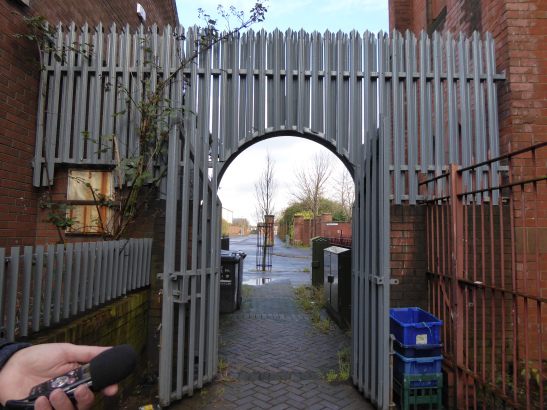 Our walk told a story about Michael’s biography and is also, in part a biography of place, of Belfast, of history in the present, indeed in part a ‘working through the past’. I will remember the resilience, humour and hospitality in the people I met along the walk. 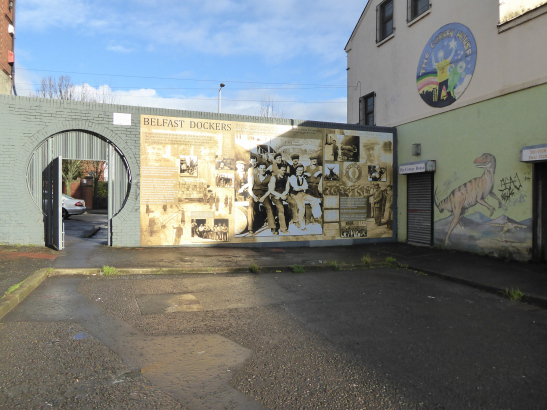 These four walks also enabled a space for me to connect biographically to both Belfast and Northern Ireland as the grandchild of Irish migrants to the North East of England. I had a lot to think about! I thanked Michael for his time and for the walk and insights into his biography, especially as someone who survived the ‘troubles’. He was going to France to continue the transitional justice work and ultimately his hope for the future is for a reunified Ireland.